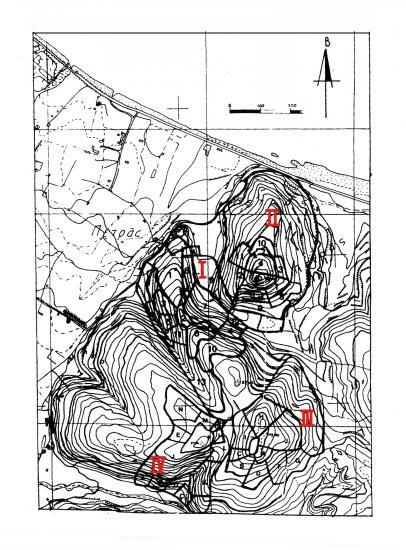 The topography of Petras consists of four hills (Hills Ι-IV), with two valleys between them. The archaeological site lies about 1500 m east of the modern city of Sitia by the sea. In antiquity, the valleys between the hills were covered with water, forming two safe anchorages. 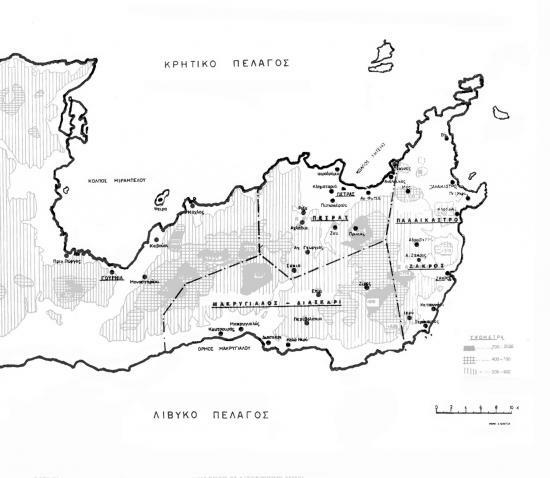 Geological research by Professor Michael Dermitzakis, in the valley west and southwest of Hill I of Petras, focused on the location of the limits of the ancient anchorage and the discovery of the Minoan coastline. It was found that the sea during Minoan period reached the “villa” of Klimataria (SW of Petras and about 2 km from the modern coastline). Therefore, the natural anchorage of Petras was one of the biggest in Crete. The topography of Petras favored the establishment of a well- organized and flourishing settlement in the Final Neolithic (Hill II of Kephala). From the EM II period on the settlement moved to Hill I, and it prospered. 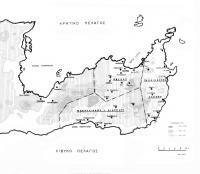 As a result the palace was constructed in during MM IIA, on a large, partly artificial plateau on Hill I. Petras was an important coastal settlement with urban character from the Protopalatial period with connections with the rest of Crete, the Aegean and probably also Eastern Mediterranean. The two shrines which were connected to Petras, Piskokefalo and Prinias were also of great importance. The settlement patterns of the Sitia bay area are better known in the Neopalatial period, when Petras was the central place. In the hinterland of the Sitia bay there were secondary settlements with important buildings, the so-called “villas” (Zou, Achladia, Aghios Georgios-Tourtouloi), the isolated farmhouse of Klimataria, while the use of the shrines of Prinias and Piskokefalo seems to continue. It is suggested that the peripheral settlements functioned as local gathering points for agriculture produce integrated in a tripartite hierarchical system, which contained also in a third level isolated farmhouses, comparable to the traditional metochia. Therefore, the secondary settlements of Zou, Achladia and Aghios Georgios-Tourtouloi with their “villas” and shrines functioned as local gathering points for produce, while the isolated farmhouse of Klimataria may have served for the provisional storage and the movement of the goods from the harbor. Petras continued to be an important settlement during Post Minoan period, as the imposing fortification wall of Mycenaean type shows (Richardson plot). 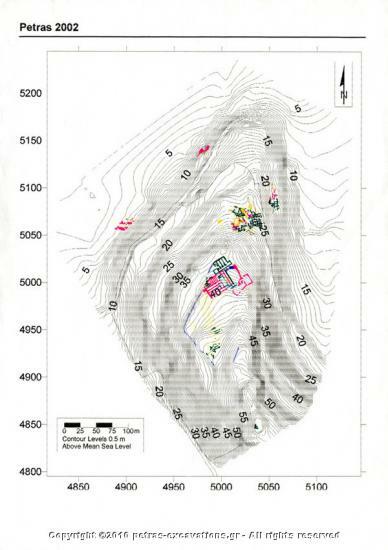 In LM IIIC the settlement moved to the summit of Kephala hill.